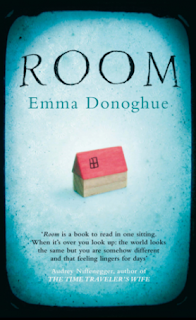 Room by Emma Donoghue has been short listed for this year's Man Booker prize. I read it after it was chosen by a book loving friend of mine who suggested that we both read the same book at the same time, in the spirit of a book club. It wasn't until I was pulling it off the Borders bookshelf that I realised "Oh, it's that book. The Josef Fritzl type forced captivity book, told through the eyes of a five year old." I was regretting the decision already. And then as I was wondering around the bookstore with this book in my hands, flicking through it, I must have been looking sceptical because a shop assistant approached me very enthusiastically and gushed, "That is the best book I have read this year. It is just wonderful." There were almost tears welling in her eyes as she said this. On reaching the checkout counter, a different shop assistant, on picking up the book exclaimed "Oh everyone here just loves this book. I haven't read it yet but I will definitely read it soon." So what did I think of it? It is a well written story that is quite moving in parts. It is a very easy read. The literary device of writing the book in the voice of a five year old boy did not entirely work for me. Room tells the story of Jack and his mother "Ma". Ma was kidnapped at age 19 on her way to uni and held a prisoner in a backyard shed. During her forced imprisonment she gave birth to her son Jack who is now five. Room is the story of their life together, their relationship with each other and their relationship with the world outside, as told by Jack. There is plenty I enjoyed about this story, perhaps most of all I liked the way the relationship between the mother and son in this extreme environment was explored. This relationship rings true and is consistent throughout the story. The character of Ma also has an authentic feel: for me she was courageous and measured. I just found the perspective, thoughts and language of the story telling tedious at times. I realise this means I may not have a soul given the level of gushing that has gone on about this book, but there it is. I do think Emma Donoghue has captured reasonably well the voice of Jack. I also think it is impossible to be one hundred percent spot on all the time in telling a story from the perspective of a very young child; especially when it comes to children's language and a projecting a consistent and believable level of child understanding. 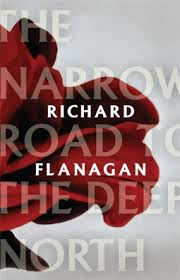 It is even more difficult when it has to be sustained over the entire length of the novel. For me the language was cutesy at times and there were other times when Jack showed insight that was well beyond his years and I felt this was stretched to amp up the story telling power. For me it just jarred. The often repeated childish language annoyed me after a while, because maybe I didn't believe a particular word the first time and so by the time the word or phrase was repeated the tenth or twelfth time I was even more over it. It is a very human and uplifting story in many ways, and it is such an easy read compared to some of the things I have tackled recently that I didn't feel that reading it was a massive investment in time or energy. I am glad I read Room but it didn't fully captivate me, certainly not to the extent it appears to have captivated many readers, given the current hype surrounding this book. I really want to read this, I've heard such good things. Good to know that it's not 100% perfect and has some flaws, I won't go in expecting too too much so shouldn't be disappointed. Sounds like an amazing read. I want to read one or two books that were shortlisted and this sounds like a good choice. Thanks! I really liked this book...stop by my blog for a review if you like.